Whether breakfast is the most important thing to happen before 9 a.m is debatable, but it’s definitely the most important meal of the day. Having the right cooking utensils for breakfast makes the whole process significantly more pleasant for everyone. If you’re smart about how you’re filling your kitchen drawers and cabinets, you won’t need that much gear to make a killer breakfast. Here are our tips to help outfit your kitchen for the first meal of the day. Planning out a well-organized kitchen saves so much time in the long run. Thinking about how you use things can really help plan your kitchen accordingly. By separating your kitchen into zones that serve different purposes, you will definitely master the art of breakfast making. 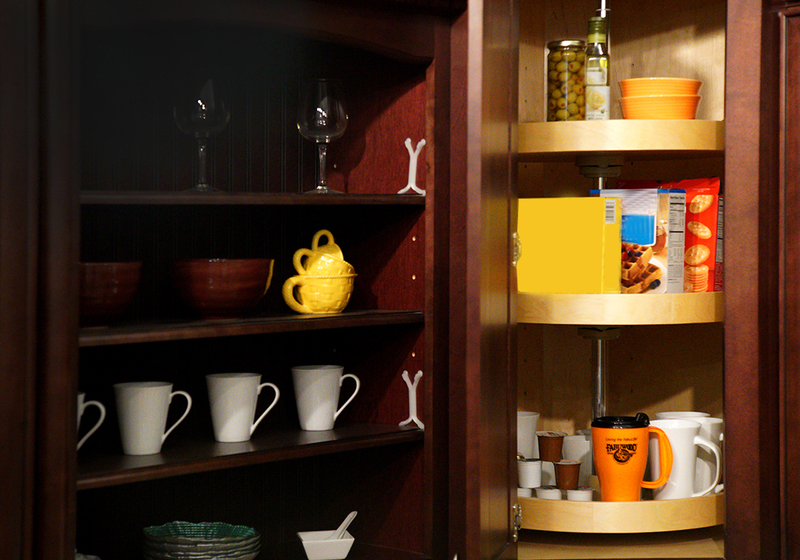 Reserve a full cupboard for cereal, oatmeal, bread, pancake mix, coffee, bowls, plates, mugs, and toppings for oatmeal and toast. A Lazy Susan can really aid in fitting everything into one space, and with it everything you store becomes extremely accessible. One visit to this breakfast station can bring you a bowl of cereal, a plate of toast, and a cup of coffee. This type of zone is sure to simplify your busy mornings in the kitchen. Breakfast making should be enjoyable and stress-free so that the rest of your day follows suit. Our first recommendation is that you should only buy gear that has multiple uses, because even though that waffle maker with a self-timer is cool, filling your kitchen with single-purpose tools will leave you with lots of clutter. Cast Iron skillet: If you only have one pan to make breakfast, you should make sure it’s a cast iron skillet. They’re great for omelets, hash browns, and even pancakes. You’ll be amazed at how easy you can flip and stir without any sticking. Toaster oven: Sure you could equip your space with a regular traditional toaster, but a toaster oven is so much more versatile. The uses are limitless, from browning bread to heating up leftovers you won’t be disappointed. Blender: A good blender can definitely make life in the kitchen easier. If you’re in a rush and need to grab breakfast to go, this is the perfect tool to make an awesome breakfast smoothie for your commute to work or school. Mixing bowls: This may seem like a no-brainer, but having plenty of mixing bowls in different sizes will make the process of cooking breakfast so much easier. Use the smaller bowls for prepped ingredients, that you can pour into the skillet or larger bowls when needed. Coffee machine: Of course, you can’t enjoy breakfast without a strong cup of coffee. No matter what type of machine you choose, having a coffee device on hand is a must for breakfast enthusiasts. What do your mornings in the kitchen look like? Does making breakfast slow you down? We’d love to hear about it in the comment section below.